Subaru of America said April was its 41st consecutive month of growth, with sales up 18 percent from the year-ago month. Subaru sold 47,241 vehicles last month, an April record. Year to date, sales are up 17 percent to 178,522 vehicles. Subaru also said April was the 14th consecutive month with sales of more than 40,000 vehicles. Sales of the Legacy midsize sedan grew the most -- up 69 percent from a year earlier. Subaru executives have said the brand needs to grow in the highly competitive segment. “Our April results exceeded our expectations, and we are delighted to have achieved another monthly sales record,” Tom Doll, president of Subaru of America, said in a statement. 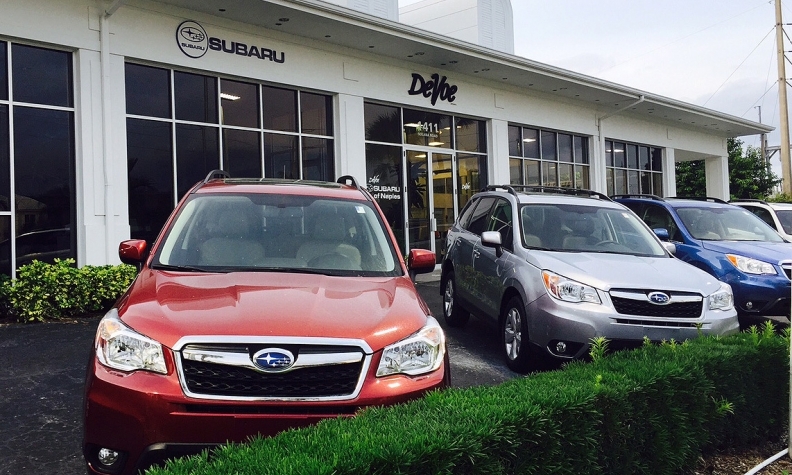 Subaru has had seven consecutive years of U.S. sales growth. It significantly outpaced the market last year with record sales of 513,693 vehicles. Subaru executives have said U.S. sales are expected to grow by 5 percent to 540,000 units in 2015 -- slower than last year’s 21 percent increase.